This highly upgraded Duplex-Style Condo truly has fantastic views. Glen IvyÃƒÂ¢Ã¢â€šÂ¬Ã¢â€žÂ¢s 13th Fairway is your backyard, while majestic views of Cleveland National ForestÃƒÂ¢Ã¢â€šÂ¬Ã¢â€žÂ¢s evergreen mountains are visible from the Master Suite, Kitchen and covered Patio Deck. Lush dark wood flooring throughout is this condoÃƒÂ¢Ã¢â€šÂ¬Ã¢â€žÂ¢s most significant upgrade, but beautiful off-white Kitchen Cabinetry and matching Built-In Entertainment Center are close seconds. A spacious Gourmet Kitchen has upgraded Granite Counter Tops on both the la This highly upgraded Duplex-Style Condo truly has fantastic views. Glen IvyÃƒÂ¢Ã¢â€šÂ¬Ã¢â€žÂ¢s 13th Fairway is your backyard, while majestic views of Cleveland National ForestÃƒÂ¢Ã¢â€šÂ¬Ã¢â€žÂ¢s evergreen mountains are visible from the Master Suite, Kitchen and covered Patio Deck. Lush dark wood flooring throughout is this condoÃƒÂ¢Ã¢â€šÂ¬Ã¢â€žÂ¢s most significant upgrade, but beautiful off-white Kitchen Cabinetry and matching Built-In Entertainment Center are close seconds. 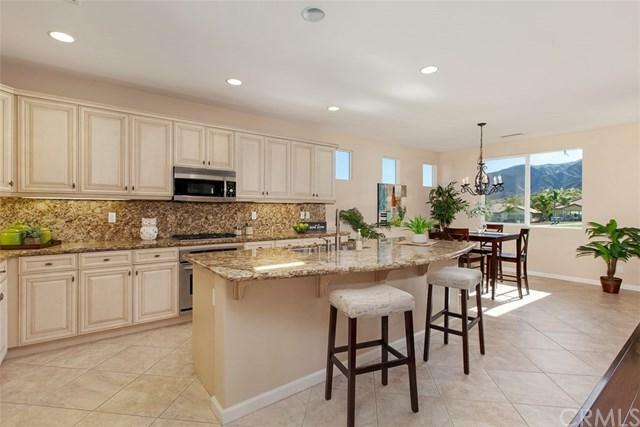 A spacious Gourmet Kitchen has upgraded Granite Counter Tops on both the large Center Island and full Backsplash, plus a Stainless Steel Double-Sink and Stainless-look appliance package. A separate Dining Room with ButlerÃƒÂ¢Ã¢â€šÂ¬Ã¢â€žÂ¢s Pantry Built-Ins makes for easy entertaining. The Guest Bedroom is adjacent to the Guest Bathroom, which has a Shower/Tub Combo to enjoy ÃƒÂ¢Ã¢â€šÂ¬Ã…â€œbubble bathsÃƒÂ¢Ã¢â€šÂ¬Ã‚Â, while a nice step-in Shower and spacious Walk-in Closet are found in the Master Suite. Tasteful tile and granite upgrades adorn the bathrooms, but a fully-mirrored Double Sink Vanity in the Master adds noted elegance. An open ÃƒÂ¢Ã¢â€šÂ¬Ã…â€œFlex RoomÃƒÂ¢Ã¢â€šÂ¬Ã‚Â can become a Den or Office depending on life-style needs. The private 1-story elevator is perfect for the disabled or for bringing up groceries ÃƒÂ¢Ã¢â€šÂ¬Ã¢â‚¬Å“ but all living areas are on a single level. HOA Fees cover full landscaping and outside building maintenance, Pest Control and Elevator, so you can fully enjoy all of TrilogyÃƒÂ¢Ã¢â€šÂ¬Ã¢â€žÂ¢s 55+ Community amenities including: Indoor/Outdoor Pools, Indoor Walking Track, Tennis/Pickle/Bocce Ball Courts and many Club events. Listing provided courtesy of Realty One Group. Listing information © 2019 San Diego MLS, Inc.